FLV, a streaming media format, which is the fastest growing and most widely spread video format at the moment. It makes it possible to view video files on the network because of its minimal file size and extremely fast loading speed. Batch Cutter is to cut multiple video/audio files in bulk. Step 1: Import flv files. First of all, an interface which involve a wide range of tools such as cropping, watermarking, joining, rotating, splitting and so on will automatically come into view when you open Windows video editor tool. Please click " Batch Cutter ” to unlock the corresponding window. Then you should click "+" in an attempt to import FLV files. After selecting and opening it, the video in FLV format will appear in the vision of the field. Step 2: Cut videos in batches. 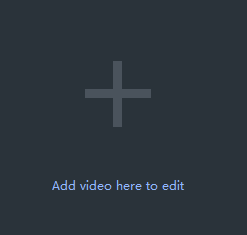 After completing above steps, you could drag and drop the blue sliding icon on either side with the purpose of selecting pieces you want to preserve or delete from several videos. When you place your mouse on it, there is then followed by a two-way arrow. Step 3: Confirm the position of the cut. When you click the video on the left again, the segment you selected will automatically emerge on the right. You can confirm the location of the connection by clicking the video again. Step 4: Export flv files. Click "Export" after you have polished the video in FLV format. Provided that you want to export the video with FLV, you just click the boxes beside "keep original format" and "Export". You can also choose other formats and device to save it on the computer. Rename your video and ensure that the saving location is right. The settings for resolution are also available for you. Finally, don't forget to click "Export" to save converted FLV file. With the above four steps, we can handle how to cut videos in batches effortlessly. Certainly, to facilitate you editing videos for multiple occasions like festivals,weddings,holiday travel, business working or just warm moments in mundane realities of life, Windows Video Editor Tool will also provide you with an array of tools to split and join video clips,add stylish effects and filters to videos, add music and titles to videos and so on.